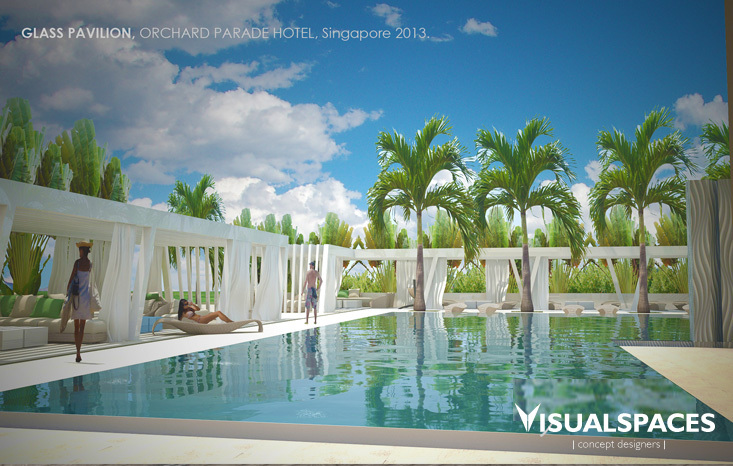 Visual Spaces was invited to pitch for a new pavilion for functions and meetings at the swimming pool are at Orchard Parade Hotel. The architect at Visual Spaces conceptualize a glass pavilion with a wing structural design concept acting as a shelter. As the GFA is limited, our architect designed this architectural piece as a movable structure.